LYONS 40 LIFT KEEL - Double Talk – Custom Senogles / Lyons 40. 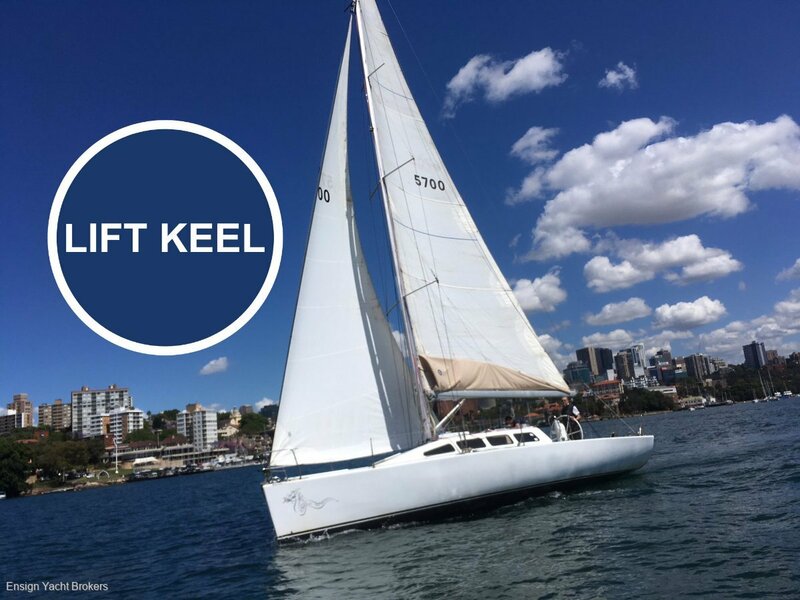 If you’re looking for a lift keel yacht for sale in Australia, look no further! 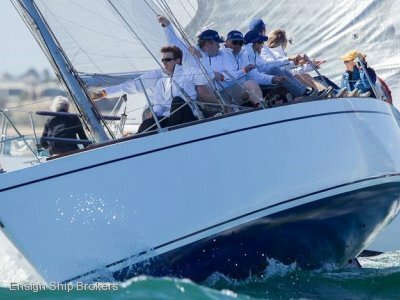 Double Talk represents the rare opportunity to acquire a Lift Keel performance orientated 40 footer for those that have draft restraints however also wish to finish at the front of the club race fleet. In shoal draft mode the Hydraulic keel lifts to 5 feet however, lower the board & she has a draft of nearly 9 feet , this coupled with a lead bulb of 1650 kgs, gives the yacht power to carry her generous sail plan. Her light displacement is derived from a Divinycell closed foam core coupled with E Glass laminates in both hull & deck , engineering for the structure & laminates was carefully considered in the overall layup. On deck she is laid out for Club racing with Lewmar winch & deck package. 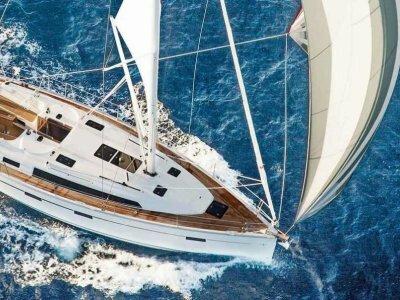 She has the option of either tiller or wheel steering ( which was added in 2016), boom bag & lazy jacks along with her roller furling headsail make her easy to sail & race in social races without the use of the optional backstays as the spreaders are swept back 10 degrees to give safety in rig stabilization. The rig has the ability to be lowered easily to access under bridges with a well engineered tabernacle hinge. New Running rigging in 2016 along with the rig being inspected & signed off on by Henderson rigging in 2017. 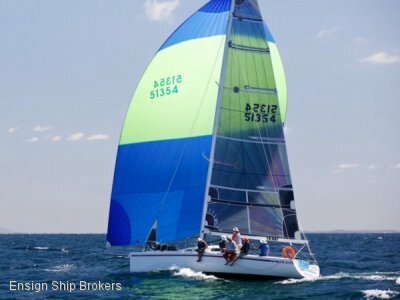 For those that have a desire of more competitive racing , she comes with Kevlar race sails & 2 spinnakers , the backstays can be used to further boost her performance. New B&G instruments, plotter & VHF were fitted in 2016. 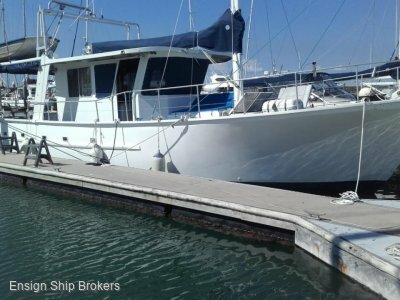 Below deck she has all the attributes for a week away in relative comfort, with 5`10” headroom, plenty of light from her large windows, new navy upholstery, a U shaped settee, Great Eutectic refrigeration & a functional galley with Oven. Enclosed head & pressure water. Main, Furling Genoa, #1 & #3 Genoas, MH Spin, Fractional Spin, 3 reef Dacron mainsail with RCB Sliders for easy hoisting & Furling Genoa with UV strip both in excellent condition.